You are what you eat. Ever heard of that before? I hope so, because it still holds true till this day. In fact, it will always hold true. So take a look in the mirror right now, you look the way you look mainly because of your eating habits and choices. This concept might scare you at first but today I’m going to make it a little bit LESS scary. In fact today I am going to make your life very, VERY good. If you are one of those people that avoids salads then you need a wake up call. 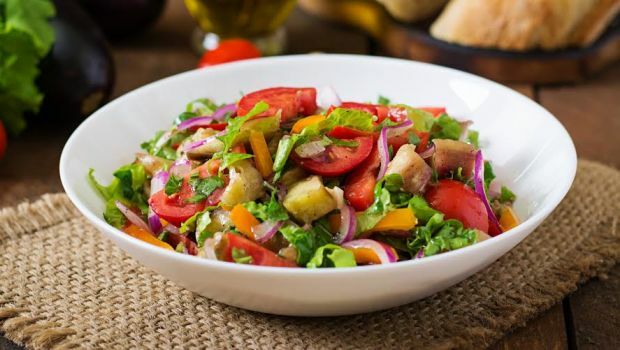 Salads are an EXCELLENT way to get all the nutrients you need, get in your daily requirements of vegetables AND provide a tasty snack for times that you are not totally hungry but could use a quick meal. All of this holds true but only if know how to make a great salad. And luckily for you, I DO know how to make a great salad, and I’m going to share it with you. This salad recipe is something I have played around with for quite some time, as it will find it’s way into my salad recipe book, as an when it comes to completion. Until then, you can take advantage of this recipe because it tastes incredible. 1. Take the honey mixture and heat it up in a sauce pan. Add the cranberries and simmer for 15-20 minutes until the berries are cooked. 2. Dissolve the brown sugar in water and bring to a boil. Continue to boil until mixture turns caramel in colour, stir in the nuts and then pour onto a sheet of baking paper. Once this cools, break it into small chunks. 3. Peel the carrot and zucchini and then cut into thin strips. This depends on personal preference. I like my fruits and veggies cut as small as possible, you may like bigger chunks. 4. Toss celery with lemon juice and set aside. You may even add a bit of pepper here. Sweet AND spicy… Can you handle it? – Top it off with the cranberries and the candy-fied nuts. Then add in some dressing. Please don’t go overboard with the dressing. This serves about 3-4 people… Or one really hungry person. If you want to cut down on sugar, skip the caramel step and just add the chopped nuts to the cranberry-in-honey mixture AFTER they have finished cooking. Then drain the nuts and top them on the salad. An even better idea would be to skip the caramel step and the honey step and just add the nuts by themselves. You can make up for it by adding SLIGHTLY more dressing.